Babies wanted for TV show in Baltimore. The Netflix series “House of Cards” has a call out for babies and a mural painter to fill a few specialty roles in an upcoming episode. The show’s casting directors are seeking single, twin or triplet babies between the ages of 6 and 9 months for a scene filming next month as well as a male mural painter who is 5’10 or taller. The streaming series is now filming the 4th season. 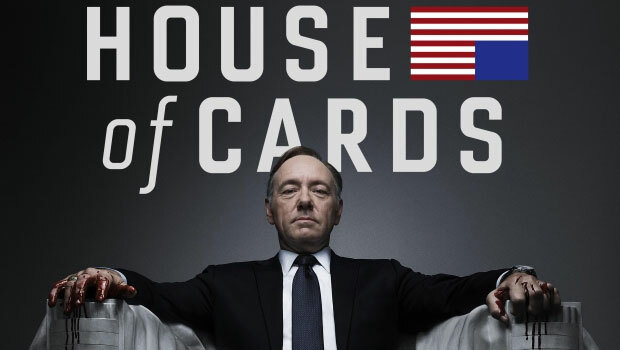 “House of Cards” focuses on Frank Underwood played by Kevin Spacey, a politician from South Carolina who, after being passed up for Secretary of State, gets downright dirty as he attempts to gain more power. By season 3, his scheming has risen him to the Presidency. Claire Underwood, played by Robin Wright, is his wife and she proves to be just as ruthless and power hungry as her husband, Frank. Netflix made the announcement of 2 new cast members over the summer. Neve Campbell will be coming to the show in season 4 as well as Colm Feore, who was cast in a recurring role. The 4th season will consist of 13 episodes just like the previous 3 seasons and will be premiering on Netflix in early 2016. While no actual release date has yet been announced, fans can expect the show to be available for binge watching sometime in February 2016. The last 3 season premiered on the 1st, 14th and 27th of February. 1. Babies – either single babies or twins. Must be either African American or Hispanic. Should be between 6-9 months of age. When applying, please provide their age and birthdate along with the Parent’s name and cell #. 2. Mural Painter (male) – we are looking for a real painter. Someone who is comfortable doing big wall murals. Must be comfortable on scaffolding and cannot be afraid of heights. Please provide a resume and or/portfolio and list your experience. 3. Children- boys and girls. Ages 4-6. Caucasian with dark hair. Preferably with olive skin tone. When applying, please provide their age and birthdate. 3. Native Americans – Full-blooded Native American men and women. Please say which tribe you are a member of in your submission. Sioux highly encouraged to apply. This is for a ceremonial scene. Please describe any experience with tribal ceremonies. Please submit info with one of the above listed categories in your email subject line. Please make sure you are registered in the Marinella Hume Casting database for consideration.